I’m currently back in rehearsals with Charioteer Theatre creating The Dreaming Prince, a new one-man show by Rebekah King about Oscar Wilde, in which I get to play the famous man myself! Oscar Wilde has got himself into trouble. He may be studying at Oxford University, but that doesn’t mean he can get away with talking back to his tutors. Grounded in his room till the ringing of the morning bell, Oscar uses his imagination to weave a new story: the tale of the Dreaming Prince. As Oscar tells his story we discover more about him, his inner thoughts and the man he will become. 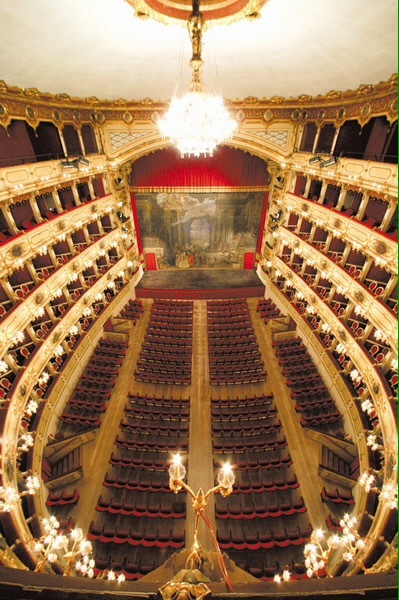 Next month the play starts a very short tour of theatres in Italy, with hopefully a larger tour planned for 2019. For the past couple of months I have been developing a shadow theatre piece with Jessica Innes and Paul Hernæs Barnes about social media. Behind The Screen (Social Butterfly) is a shadow theatre piece which uses traditional and modern forms of shadow puppetry to comment on the pressures of conformity for young women in society. Creating this piece has been a great challenge. Incorporating traditional shadow theatre, overhead projectors and slides, various lighting techniques and sound effects to tell the story. We’ve already had an early scratch showing at Assembly Roxy and a development week at Summerhall late last year, but now we’ve been invited to show our work in progress at the Traverse Theatre as part of the Manipulate Festival of puppetry and animation. We’ll be performing to a sell-out audience at the Traverse on Saturday 3rd February. You can find out more about the event here. Hopefully then next step for the piece will be full funding to complete the show and tour it to schools and theatres in the future. You will have the opportunity to see me perform at this year’s Edinburgh Festival Fringe, but as a ghost! I will be the spirit of eighteenth century distiller John Stein, in Edinburgh Gin’s show “The Art and Science of Gin“. Edinburgh Gin presents an interactive, full sensory experience using projection mapping technology, taking you on a journey of gin discovery. Step into an immersive environment exploring the art and science of gin, through the lens of Scotland’s historic, innovative capital city. Surround yourself in the sights, sounds and flavours of Edinburgh’s favourite spirit. 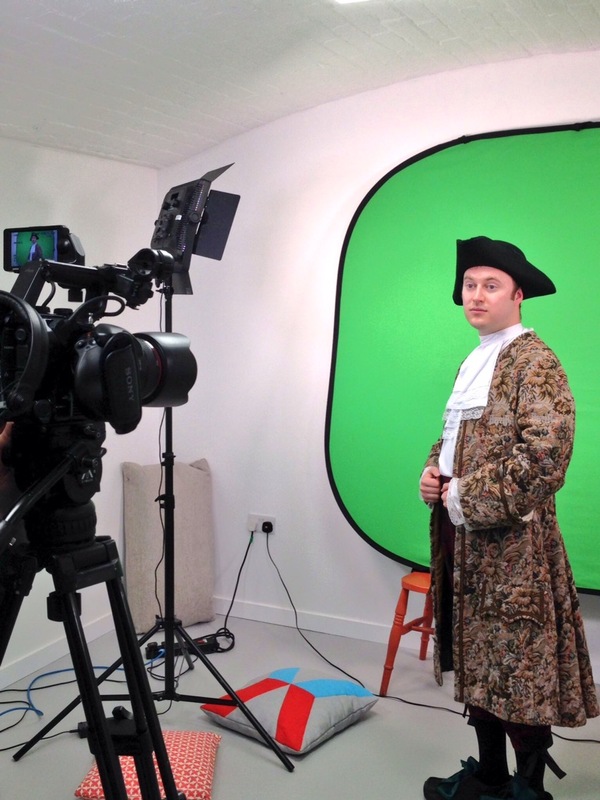 I did green screen filming for the show a few weeks ago and it’s looking great so far. Can’t wait to see the finished show! Next month I will be back in Italy, teaching workshops in radio drama and voice skills for the Benvenuto Players group in Varese. 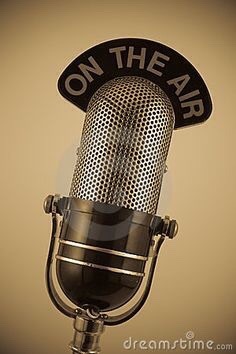 As well as looking at the different skills required in using your voice for voiceover and radio, we shall also be exploring at various classic and contemporary radio scripts. We will also be creating our own live sound effects! The evening will then conclude with a performance of various classic comedy scripts from Hancock’s Half Hour, Round The Horne, The Goon Show and many others. I’ll also be helping to create a piece with the younger members of the theatre group called “Where Do I Belong?”. It will be a devised piece looking at the different issues of migration and identity that we all seem to be facing at the moment. Looking forward to a few creatively charged days with a terrific group of people!! And if you’d like to see our live radio performance then “On Air” will be at Sala Serra in Ispra on Saturday 10th June at 7pm. I’ll also be teaching Shakespearean-influenced stage fighting classes at schools throughout Italy whilst on tour. I’m also currently in rehearsals with Charioteer Theatre with “Shakespeare vs Shakespeare“, a new play which we’ll be performing at Piccolo Teatro (Italy’s equivalent to the National Theatre) in Milan 19-23 January. A group of actors reciting Shakespeare for a radio programme are trapped inside the radio station after a terrible disaster strikes the Earth and, possibly, wipes out the entire population. After the run in Milan I’ll be touring various theatres in Italy with “Shakespeare vs Shakespeare” and “To be or… Note!“. This autumn I will be producing and performing in “The Moonlit Road and other ghostly tales“, a new one-man ghost story by Caroline Dunford and Graham Gibson. I’ll be touring the show with my company Peapod Productions to theatres throughout Scotland, before touring Italy and Switzerland with the show next year. A young man crouches in the corner of his bedroom late one night and waits. He waits. He waits, for something terrible to come for him. 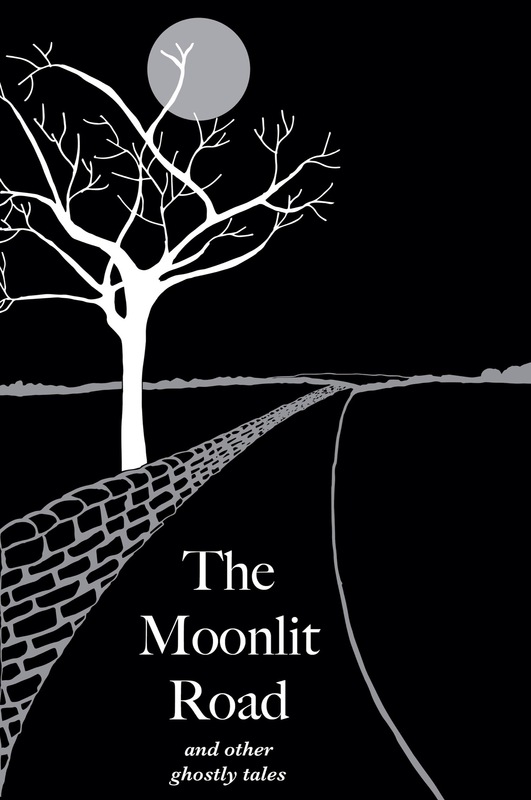 The Moonlit Road is a new one-man ghost story, adapted and inspired by the writings of Ambrose Bierce, Edgar Allan Poe, M.R. James, Bram Stoker, and many others.